"The spectacle grips you because it is carried out by a group of notable artists who to every movement give evidence of having worked with a delivery rarely observed on stage. There, especially both the exceptional masculine protagonists, put body and soul into extensive, admirable, and even amazing acting." The part of “Blanca” is openly lyric. The aria she sings in Act I with Luis Saltos' on stage harmonica and the hesitating breathing of the orchestra is memorable. Marisú Pavón shines from note to note. 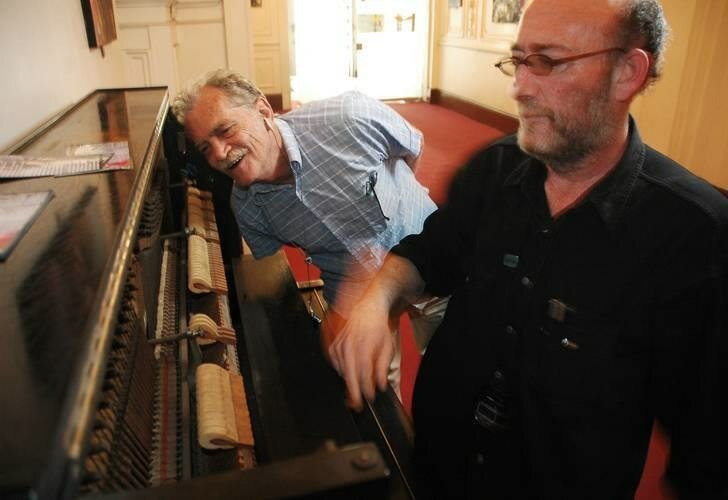 In 2006 Argentinean writer Rodolfo Fogwill and composer Oscar Edelstein were commissioned by Centro de Experimentación of Teatro Colón to work together on an opera. 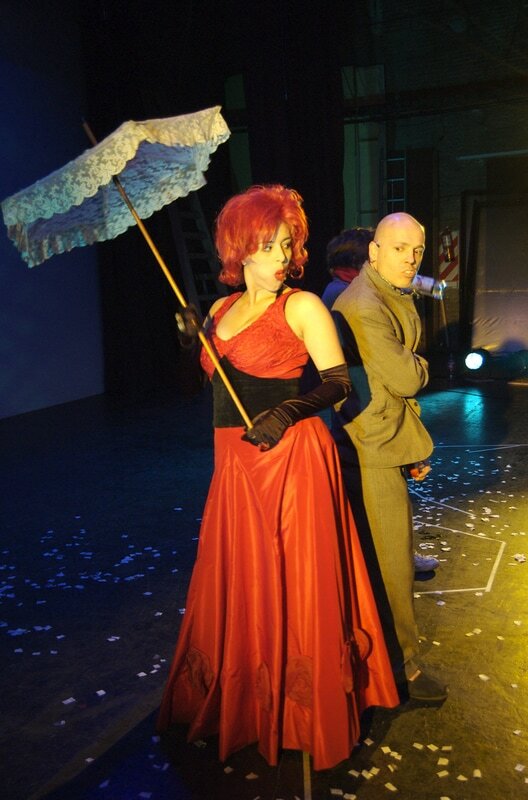 “Eterna Flotación: los monstruito’ ” premiered in Buenos Aires in 200 on the 17th, 20th, 21st, 22nd, and 23rd September in the Teatro Margarita Xirgu. This was the first artist work to cover the period of the political era of Carlos Menem. The opera is divided into two acts each with eleven moments. In the first act ”La Pecera“ (The Fish Tank) the characters are blury and constantly floating under a weak blue light. The text is from Fogwill's poem, "Contra el cristal de la pecera de Acuario" (Against the Glass of the Fish Tank). 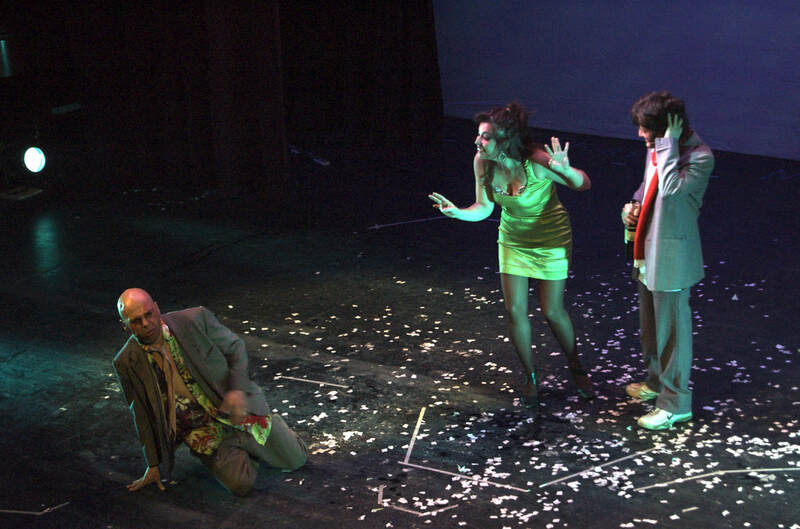 In the second act, "Los monstruito" develops the characters and their situation. "El antes de los monstruito" (Before the monsters) is the last of three poems that compose the book " Lo dado" (The Given). The turmoil of the second half of the opera is in the final moment calmed with an aria for soprano set to Argentinean poet, Juan L Ortiz' poem, "El Rio" (The River). "Eterna Flotación: los monstruito' " is the title of a new Argentinean opera that is set to be one of the most attractive premieres proposed in recent years by the Centre of Experimentation of Teatro Colón (CETC), as much as for the brilliant artistic paths of its authors - Edelstein and Fogwill - both emblematic in their respective fields, as for extremely controversial nature of it's thematic content. ​is a contemporary composer from Argentina. He is also a pianist, conductor, and researcher. His work is profuse and seen as crucial in the map of Latin American contemporary music, new opera and performance. Always pushing the musical lines between the classical, the contemporary and the popular, his music has been described as the first time that Latin America has led the avant-garde. Having been awarded important prizes throughout his career, in 2011 he was honored with a prestigious award from the National Arts Foundation of Argentina for his out-standing artistic achievement.